Eustace Chapuys, the second son of Louis Chapuys and of his wife, Guigone Dupuys, was born in Annecy in about 1490. In July 1517 he joined the staff of Jean de Savoie, the Bishop of Geneva and became his representative in the government of the city. During this period he became friends with Cornelius Agrippa. In 1525 he became ambassador for the Duke of Bourbon. After Bourbon was killed in May 1527, Chapuys went to work for King Charles V.
In April 1529 Chapuys was asked to deal with the conflict between Henry VIII and Catherine of Aragon. Charles V's ambassador in England, Iñigo de Mendoza, suggested that a new ambassador was needed, a canonist with good Latin whose main business would be to advise Catherine. 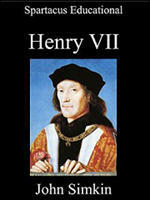 His credentials were issued on 19th May 1529, and he arrived in London by 1st September. (2) Chapuys was a Roman Catholic who was hostile to religious reformers such as Thomas Cromwell. In March 1534 Pope Clement VII eventually made his decision. He announced that Henry's marriage to Anne Boleyn was invalid. Henry reacted by declaring that the Pope no longer had authority in England. In November 1534, Parliament passed an act that stated that Henry VIII was now the Head of the Church of England. Rumours began to circulate that Catherine of Aragon and her daughter, Mary would be executed. 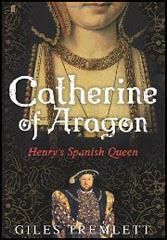 The English ambassador in Spain reported that "people expected to hear every day of the execution of Queen Catherine, and that the Princess Mary was expected soon to follow." (12) However, by December 1535, Catherine was dangerously ill and any plans for her execution was postponed. She was suffering from severe pains in the chest and her physician doubted that she would recover. Chapuys officially retired in April 1545 but he continued to keep in contact with pro-Catholic elements in England. William Paget described Chapuys as cunning and untrustworthy and "as wilful a man and as glorious, as ever I had to do with all" and a man who said "whatever came into his mouth without respect of honesty or truth, so it might serve his turn". Chapuys continued to produce assessments of the political situation as late as January 1547. Eustace Chapuys died on 21st January 1556. The autumn of 1529, which saw the disappearance from court of Wolsey, also marked the arrival of a new ally for Queen Catherine. Eustace Chapuys, the incoming Spanish ambassador, was well-equipped to steer the unfortunate woman through the morass of debate and conflict that followed the advocation of the tribunal. Somebody - probably Thomas Cranmer, then a relatively unknown ecclesiastic but with connections to the Boleyn family had had the idea of transferring the argument from that of law to the realm of theology. This was to be done by appealing to theological scholars at universities throughout Europe to give their opinions. Chapuys was a doctor of canon law and a former ecclesiastical judge in Geneva. He would also fully justify the Emperor's description of him to the Queen as "a very trusty person, and sure to take up your defence with all fidelity and diligence." In 1529 Chapuys was a man of forty, a few years younger than the Quern he would serve so devotedly: about the same age as Thomas Cranmer. For the next sixteen years, with short intervals, he would be posted in England, his reports back to Spain are therefore an extraordinarily important source for the period - provided one bears in mind his natural imperialist bias. Certainly Chapuys developed an excellent intelligence service. He was determined that in this, language should not be a barrier. When he enlarged his staff, recruiting young men from Flanders and Burgundy, he insisted they should learn English. He also employed Catherine's former gentleman usher, Montoya, who had served twenty years in England and had an excellent command of the language, as his principal secretary. Like Cardinal Campeggio (who went back to Rome at the beginning of October) Chapuys suffered intensely from gout; but with his taste for intrigue, Chapuys turned the disability to good advantage. He would insist on leaning on his English valet Fleming, and got himself another pair of listening English ears as a result. As an efficient spymaster, Chapuys knew the value of maids and other servants, as well as their social superiors at court; and he cultivated the merchant community. The referral of the case to Rome had been a consolation to Queen Catherine: the Pope had listened to her, and she was still confident that her husband would eventually return to her. But the King, as if to underline his determination to have his way, left her behind when he went on progress that August, and took Anne Boleyn instead. When he returned, matters were very strained between the royal couple, and at the beginning of October a heated exchange took place, when Catherine told Henry that she knew she had right on her side, and that as she had never been a true wife to his brother, their marriage must be legal. Catherine now had a new champion in England. In the autumn of 1529 the new Spanish ambassador arrived. Eustache Chapuys was a cultured attorney from Savoy, a man of great ability and astuteness. Never afraid of speaking his mind, he was devoted to the service of the Emperor and those connected with him. He had been well briefed about the treatment meted out to Queen Catherine by her husband, and when he arrived in London he was already committed to her cause. Nor would it belong before, having come to know her, he conceived the deepest admiration and respect, and a very sincere affection, for the Queen. From the first, Chapuys carried out his duties with more zeal than any of his predecessors, even Mendoza. His initial brief was to bring about a reconciliation between the King and Queen by using "gentleness and friendship". But it would only be a matter of time before Chapuys had far exceeded these instructions and became a continual thorn in the side of Henry VIII. He was distrusted by the King's courtiers and advisers, and hated by the Boleyn faction, who feared his influence. The enmity was mutual. Chapuys would never refer to Anne Boleyn as anything other than "the Concubine" or "the Lady". 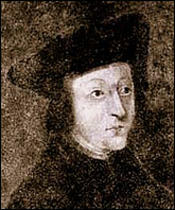 Sir William Paget, one of the King's secretaries, did not consider Chapuys to be a wise man, but a liar, a tale-teller and a flatterer, who had no regard for honesty or truth. Paget, it must be said, was biased, but his comments should be borne in mind, for the dispatches of Chapuys form a major proportion of the source material for this period.